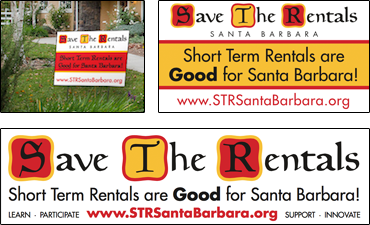 On January 30, 2017, the City of Santa Barbara filed an anti-SLAPP Motion against Theo Kracke, who recently sued the City over its vacation rental ban. Kracke’s lawsuit argues the City should have amended its Local Coastal Program or sought a Coastal Development Permit because the vacation rental ban contravenes the policies set forth in the Coastal Act. In its anti-SLAPP motion, the City cites to Code of Civil Procedure (CCP) § 425.16. SLAPP stands for Strategic Lawsuit Against Public Participation. Customarily, anti-SLAPP motions involve first amendment issues, like defamation. Ironically, the statute was enacted to protect the “little guy” from companies with vast resources who could file lawsuits against those who voiced opposition. Section 425.16(a) describes the Legislature’s intent for the law, “The Legislature finds and declares that there has been a disturbing increase in lawsuits brought primarily to chill the valid exercise of the constitutional rights of freedom of speech and petition for the redress of grievances. The Legislature finds and declares that it is in the public interest to encourage continued participation in matters of public significance, and that this participation should not be chilled through abuse of the judicial process.” While the statute’s purpose was to protect the expression of first amendment rights and curb litigation that would otherwise suppress people’s right to free speech, the statute is being abused by attorneys attempting to gain a tactical advantage in lawsuits. Attorneys have used anti-SLAPP motions in a variety of creative yet improper contexts, with the net result being increased attorneys’ fees, delays, and more litigation. The City’s motion alleges Kracke’s suit is “frankly outrageous,” was “brought as a result of acts in furtherance of the City’s rights of petition or free speech” and “is an attempt to stifle free speech on an issue under consideration or review by the City Council and should be summarily dismissed.” If the City prevails, Kracke’s lawsuit will be thrown out and he could be held liable for the City’s attorneys’ fees. Even if Kracke prevails at the Anti-SLAPP hearing, the City will have the right to immediately appeal the decision which will automatically delay the litigation until the appeal is resolved, possibly as late as 2018.